The real estate industry has made a number of changes in the way it conducts business throughout the years, but none as notable as with the invention of the Internet and its widespread use by consumers in the 1990’s. If you’re currently a real estate agent looking for new and fresh ideas of how to engage more clients or generate more leads, this book is for you! If you’re just getting started in the industry you will benefit from the information contained within this book to get yourself set up and started. In this book, you’ll find: -Why and how the Internet shaped the real estate industry today -How to create a powerful and quality website and online presence -Ways to drive traffic to your website -How to generate quality leads from your landing pages that will drum up business -How to produce content to keep in contact with past clients and engage new ones And more! 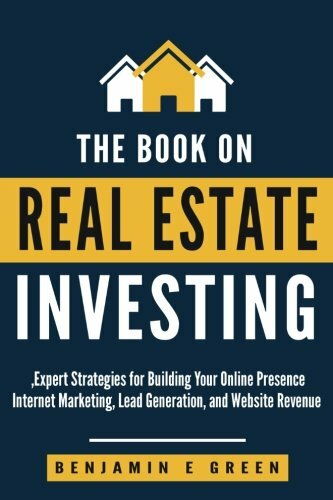 If you’ve ever wanted to create a more efficient web presence for your real estate business and personal brand this book is a must-read! From search engine optimization to the how’s and why’s of affiliate marketing, and product and service sales over the Internet, this book will provide your real estate brand with the boost it needs to propel your success to the next level! Tactic Mobile: Phase 1 Guide – How To Get Started With Your Mobile App Like An Expert: This is a guide filled with the process, hacks, and tools for creating a successful app in the app stores. Throughout this book, I’ll use experience from start-ups of my own to success stories and pitfalls of some of my client’s mobile app ventures. These insights will span from the start-up entrepreneur to the Fortune 100 company executive. I’ll talk about economic trends happening on a global scale, and how global trends are impacting the digital landscape as a whole. Including the various nuances and hacks to leverage through the process when going from an idea to a market-viable mobile app. I GUARANTEE that by the end of this book you will have learned something worth at least $30,000, since that’s the minimum rate for the strategy I provide, and that has equated to 6-figure savings and even more revenues for some of my clients. Not only will I do a deep dive into the process of taking an idea to the app store, but I’ll also debunk several myths about starting a mobile app business and what you should consider along the way. These myths are what currently hold you back from breaking free and realizing the real opportunity of your app idea, and they could be holding you back and causing you to miss out on the freedom and success you deserve. Luckily it’s not difficult to break free and dissect the opportunity. It’s only involves knowing how and where to dissect, and I’m stoked to help you out there in later chapters, where we’ll dig into the first step of the process, market research for your app idea. For many app owners, or people interested in creating an app, understanding the parts of creating an app is the biggest barrier to achieving success in the stores. The best way for you to combat this obstacle is to foster a burning desire for learning what these parts are, and then identifying what elements you need the most education in. In this book, I’m going to distil the process of creating a market-viable app plan into 3 parts, where I then dig deeper into the necessary components of each part. You don’t need to be tech savvy to figure this stuff out. I built a 7-figure mobile innovation business without a background in mobile development or technology. Heck, I studied pre-med in college and grew up on an emu ranch in a small town with one high-school. After running and owning an app development company, TO THIS DAY, I STILL CAN’T CODE ONE LINE. I don’t intend to waste my time in getting to know how to either. The success of an app comes from the business strategy, so that’s where I spend my time and that’s what we’ll dig into to maximize your opportunity. My mission: to improve the success rate of new innovative mobile apps around the world. The vehicle is the book you are reading. Jump into the world of mobile marketing and reach customers on the go. Understand basic mobile marketing concepts and trends, develop a strategy that works for your business, and then implement and optimize the strategy following industry best practices. This book shows how to prepare your website and emails for mobile visitors, launch SMS campaigns, find development partners, advertise on mobile, and measure results. In this book we’re going to explore the world of mobile marketing, and the incredible impact it can have on your ability to communicate, engage and interact with your customers throughout their journey with you, your business, and the marketplace in general. In this book I’ll explain mobile marketing and the mobile marketing industry. I’ll walk you through how to create mobile marketing strategies, execute mobile marketing campaigns, and find strategic partners that you can use to add mobile to the heart of your marketing efforts. 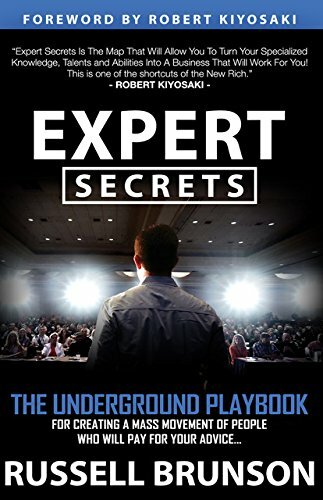 The Expert Authority Effect 2017:: Your 7-Step Brain Dead Simple Blueprint To Attract Your Ideal Dream Clients By Increasing Your Authority Positioning Today! • Are you frustrated with having to chase down prospects for an answer? • Prospects weren’t really interested in the first place? • Can’t afford your services? • Aren’t the decision maker? So was I, that Is why I created The Expert Authority Effect™ for you. So you can say goodbye to the repetitive tasks you don’t really enjoy any way make a low impact and instead focus your time, energy, and money on where you can make the most significant impact.